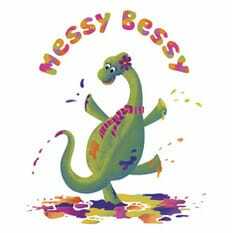 “Messy Bessy.” is a humorous 354 word picture book for children 5-8. Bessy is a brachiosaurus who loves to sing and dance. She doesn't realize her long legs and big tail smash her classmates’ things. ​All Bessy wants to do is share her love for music but her classmates are mad at her for being so big and clumsy. Bessy ends up teaching her classmates that her size is something that can be appreciated and cherished.